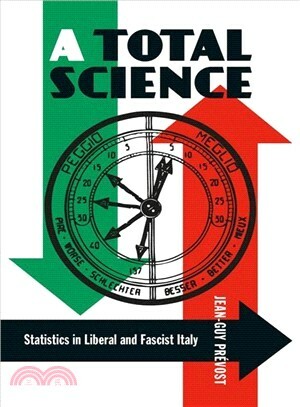 In A Total Science, Jean-Guy Prévost charts how Italian statistics emerged as a full-fledged discipline, giving rise to a network of university chairs, journals, and other institutions. He focuses on episodes such as the creation of the famous Gini coefficient and the statisticians' participation in Italy's war effort and also analyses the intellectual project to which most statisticians were committed, that of creating a quantitative social science. In doing so he reveals the political and ideological use of the work of statisticians during the Fascist era. Jean-Guy Prevost is professor of political science, Universite du Quebec a Montreal, and a member of the Centre interuniversitaire de recherche sur la science et la technologie (CIRST).